Getting married? 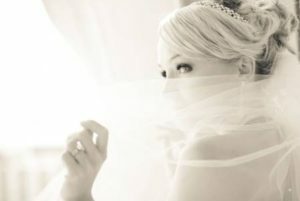 Want to look your best/youngest on your special day? Well, you have come to the right place! TAKE 5 – 10 YEARS OFF, NATURALLY ~ no invasion, no toxins, no downtime ~ FOR YOUR WEDDING DAY. The sooner you start, the more years we can erase! You are guaranteed skin texture improvement after your first session or your money back! The LightBarr’s Special Wedding Packages* have been designed for the Bride, the bridal party (and/or family members) as well as the groom and groomsmen! *Special rates are applicable to wedding participants only. These dramatically reduced Skin Rejuvenation Prices allow as many members of the Wedding Party as possible, to LOOK YOUNGER on the big day. With SPL Skin Rejuvenation by ORLight, aka Photolifting® , you will not only enjoy Radiant, Flawless, Smooth, Tight, Younger-looking Skin, instantly, on your special day and beyond, but sun damage and pigmentation (or freckles) will be removed, permanently, as well as any unsightly red veins! The first consultation is always FREE, with a FREE try-before-you-buy DEMOnstration. Contact The LightBarr as far in advance as possible with your wedding date. Let us know how many participants there will be. Set up a consultation (FREE of charge) for each person; individually or in groups of 3 max. Payment can be made as a group or individually. Enjoy Radiant, Flawless, Smooth, Tight, Younger-looking Skin instantly, on your special day and beyond!! Please get in touch as far in advance as possible so as to ensure getting all the required treatments in before the big day. Some treatments may require more than 10 days between treatments. 1st consultation is always free. > LOOK 5-10 YEARS YOUNGER - GET YOUR YOUNG SKIN BACK!